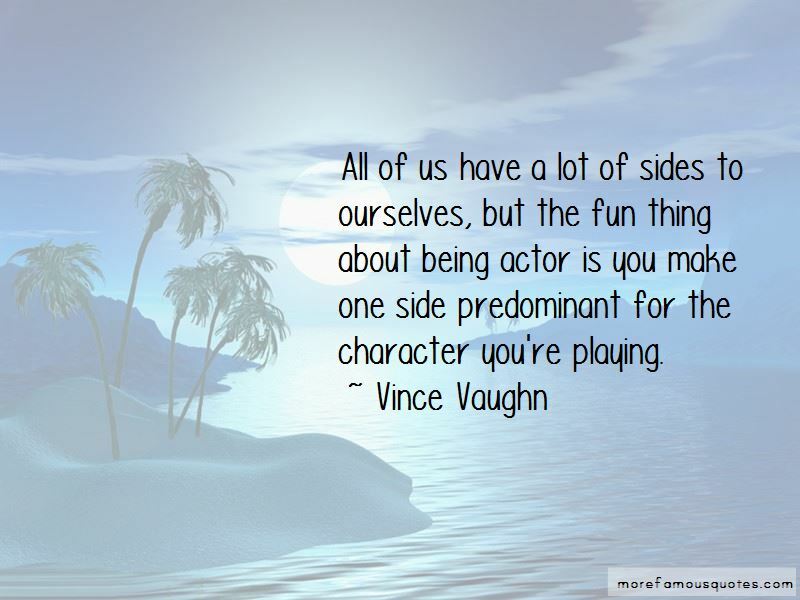 Enjoy the top 86 famous quotes, sayings and quotations by Vince Vaughn. I enjoy going out by myself ... always have, always will. I don't have security guards, and, for the most part, I enjoy meeting new people. I see myself as a regular guy who likes playing video games with his nieces and nephews and poker with his family. I don't have an art collection or take exotic vacations. I enjoy being at home. I'm not running for office. I just want people to come to my stuff and escape and see me as a character, not as anything else. 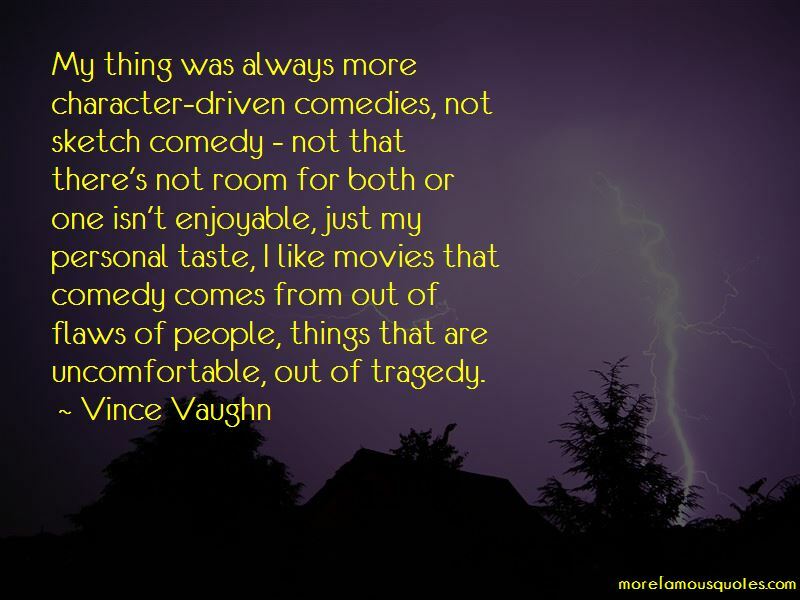 I love actors and I feel like, if you usually allow people some say, most people, if they start to feel comfortable, they're going to have a voice. If they feel heard, then they will give back 10 times as much to you. Banning guns is like banning forks in an attempt to stop making people fat. I happen to know everything there is to know about maple syrup! I love maple syrup. I love maple syrup on pancakes. I love it on pizza. And I take maple syrup and put a little bit in my hair when I've had a rough week. What do you think holds it up, slick? I don't like dates. If you meet someone that you like then meet them out somewhere. That's good because that's comfortable. I don't like the feeling of going to pick someone up that I don't know that well at their house and then take them to kind of a formal restaurant. Please don't take a turn to negative town. I'm not perfect, but who are we kidding? Neither are you. And you wanna know what? I dig it! We are gonna have tons and tons of opportunities to meet gorgeous ladies that get so aroused by the thought of marriage that they'll throw their inhibitions to the wind. I never did anything for free. Other than dancing in clubs. I give that away for nothing. 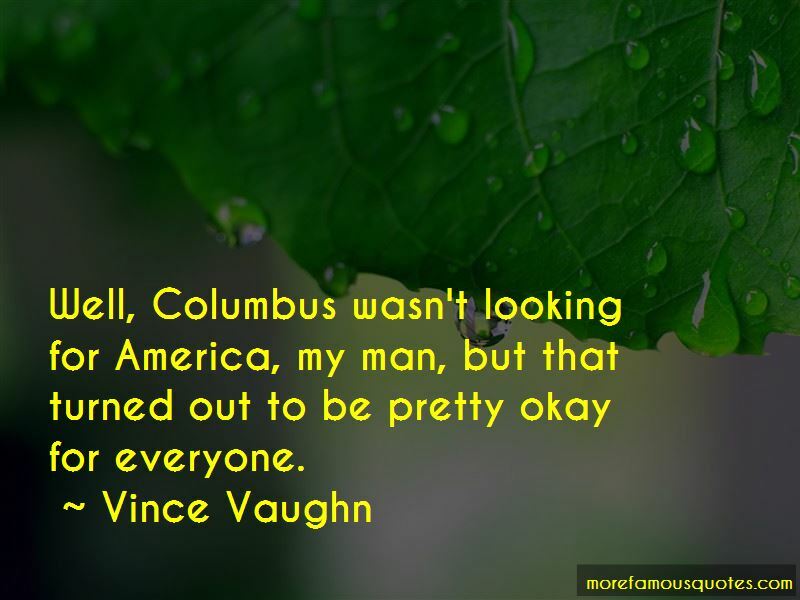 Want to see more pictures of Vince Vaughn quotes? 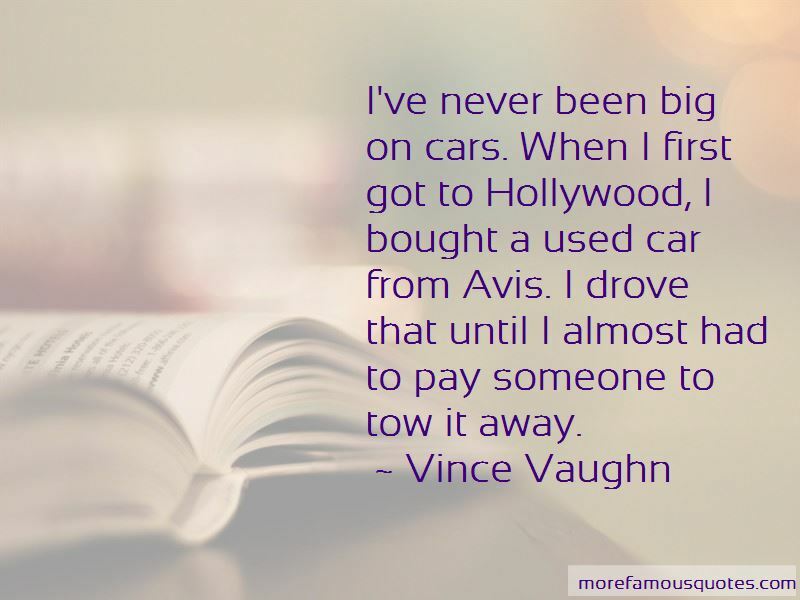 Click on image of Vince Vaughn quotes to view full size.